Reconditioned, restored, rebuilt - what do they actually mean? ‘Ebony and ivory live together in perfect harmony, side by side on my piano keyboard. Oh Lord, why don’t we?’ sang the incomparable Stevie Wonder back in 1982. While ivory has been out of fashion for piano keys since the 1950s, it remains in popular consciousness as the material most associated with our instrument. I suspect that ‘Tinkling the ivories’ will remain in common parlance for some time to come! 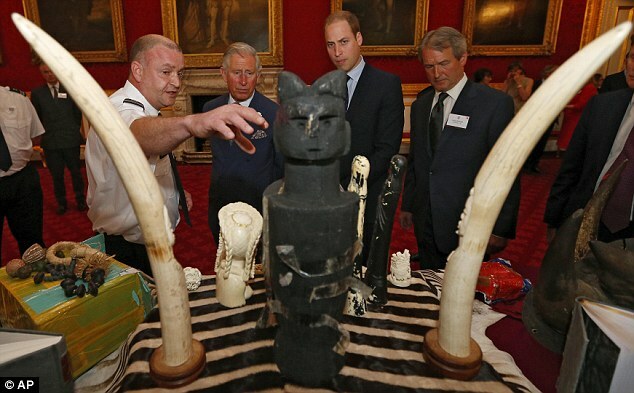 The debate on the emotive subject of ivory has been gaining increasing media attention recently, especially with Prince William’s intervention though his patronage of the wildlife charity Tusk. For him, wildlife crime is an important personal cause and he has lobbied national leaders, including the presidents of China, the USA and several African countries, to strengthen the laws that protect the African elephant. Lending his campaigning muscle to the debate has certainly helped raise awareness of the devastating impact that wildlife crime is having in the world. Given the importance of this subject, I’m surprised that the use of ivory for piano keys has not been more widely considered – even within the piano trade. It is a sad fact that despite the work of CITES (the Convention on International Trade in Endangered Species of Wild Fauna and Flora) and others working in this area over many decades, poaching and illicit trade in ivory have reached their highest levels since the mid-1990s. Although the UN banned the international trade in African elephant ivory in 1989, sales have thrived on the black market. In fact this illegal trade is one of the world’s major criminal activities, alongside drugs, arms and human trafficking, and is worth millions of pounds every year - some of which funds terrorist militia groups. This has been attributed to a growing demand in Asian markets, particularly China, for decorative items which has fuelled the criminality and helped to sustain the black market. There are strong arguments on each side in terms of whether a total ban – a strategy supported by many politicians and conservationists – is the best way forward. Currently, the UK government bans the trade of ivory that is younger than 70 years old. Even though the Conservatives pledged a total ban in both their 2010 and 2015 manifestos, this has yet to be enacted. The Environment Secretary, Andrea Leadsom, announced plans in September to ban sales of ‘modern day’ ivory, but for many this is not enough, even though the UK has probably the world’s toughest set of regulations. The problem is that some antique dealers exploit the difficulty of determining the age of an ivory ornament. They simply say they believe it was crafted before 1947 and get away with it as few checks are carried out and it’s easy to pass off new ivory as old. This is certainly an area which is easier to police with pianos, as the serial numbers determine the date of manufacture and it is usually possible to tell whether the keys are original or not. The UK was historically one of the largest elephant ivory markets in the world. Our use of ivory peaked just at the time when piano production was at an all-time high: we imported nearly 500 tons of it every year between 1910 and 1914. As well as piano keys, it was used for objects such as brush and walking stick handles, cutlery, tea caddies and jewellery. If we were to ban trade of any object which contained ivory, this would have a major impact on the antiques business and on the movement of musical instruments, some of which are of significant historical importance. What effect that would have on the severe decline of the elephant population is a matter of contention. Some argue that the UN’s 1989 ban has been counterproductive because by restricting supply during a time when the size and wealth of China’s middle class increased rapidly only served to drive up prices. Since 1989 there has been an increasing proportion of the Chinese population with the disposable income to spend on ivory. This increasing demand from customers has inevitably meant an increase in the incentives and rewards for the poachers. Some of Africa’s largest range states, such as Namibia, South Africa and Zimbabwe, actually support a legal trade. However, others believe that any trade stimulates new consumption and causes poaching rates to rise. I’m not going to enter into this complex and emotive debate here, but instead take a look at what the law means when it comes to the restoration and sale of older pianos which have ivory keys. At the moment there is no problem with the sale of pianos pre-1947, although to import or export a piano which contains ivory does require CITES certification. If replacement ivory has been put on, then proof will need to be given that the replacements were added before 1947 – something which is going to be difficult to establish. So if someone uses key coverings from one piano which might have been manufactured post-1947 and ‘reworks’ them to fit a pre-1947 piano (admittedly fairly unlikely), the piano cannot be sold. This is a grey area, particularly as antique pianos may have just a few of their keys replaced. Replacing a missing or chipped ivory key with one taken from a piano of a similar age seems a reasonable act of restoration which should not constrain the dealer of that piano from selling it. However, it is virtually impossible, and probably entirely impossible, to tell the age of the ivory key top. So what about those pianos with ivory keys that were produced after 1947? Many high quality instruments by makers such as Bosendorfer and Steinway fall into this category. This is where things are less clear and where the piano trade will need some clarity when the legislation is drafted in detail - as I understand it. It may well be that those folk who are expert in recovering keys have a full order book very soon. There are now excellent materials which not only have a similar appearance but also the touch, responsiveness and non-slip properties of ivory. Yamaha, for example, offer a plastic called Ivorite which they claim mimics the look and feel of ivory. Another material is called Ivoplast, which is favoured by Steinway, and some makers such as Steingraeber use mammoth tusk as their preferred option. I think we need to be realistic about the fact that a huge number of pianos in the world have ivory keys as an integral part of their fabric, character and appeal for the pianist. To be unable to sell those instruments in their current state will mean that those keys will be stripped off only to be replaced by plastic – and that’s hardly going to reverse the alarming decline of the African elephant!